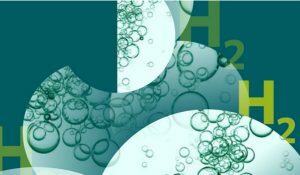 Carbon Dioxide Removal (CDR) technologies are still in their infancy. However, they are an essential part of limiting global temperature increases to 1.5-2°C to meet the Paris Agreement’s objectives. So what is the best way to ensure CDR is ramped up at the right speed to hit those targets, and avoid the “moral hazard” of the promise of future CDR giving others an excuse to fail with their straightforward carbon reduction? Oliver Geden, Glen Peters and Vivian Scott explain. Most modelled emission scenarios that meet the Paris Agreement’s objective of limiting global temperature increase to 1.5-2 °C include large-scale deployment of carbon dioxide removal (CDR) throughout the 21st century. While afforestation has been a part of climate policy for decades, the development of other CDR technologies widely applied in scenarios, such as Bioenergy with Carbon Capture and Storage (BECCS), Direct Air Capture and Storage (DACS), Soil Carbon Sequestration (SCS) or Enhanced Weathering is still in its infancy. No country is presently pursuing substantial research or regulatory support in this area, not even an international climate policy leader like the EU. Unsurprisingly, many European policymakers and the broader public are largely unaware about CDR. Critics usually present CDR as an unreliable magic bullet, a potential moral hazard that will deter serious mitigation efforts or an intervention with side effects worse than the climate change impacts it tries to prevent. But such generalized statements usually ignore that the problem is not CDR as such, but the scale CDR is assumed to be deployed. Therefore, it is important to assess and decide in which climate policy strategy CDR should be embedded. In this context, it is useful to distinguish between gross and net negative emissions. Models currently find that for meeting a 1.5-2 °C target global CO2 emissions will have to reach net zero in the second half of the century and go deeply into negative territory afterwards. Net zero emissions represent a balance between sources and sinks of greenhouse gases (as in Article 4 of the Paris Agreement), implying that there remain some residual gross positive emissions, stemming from fossil fuel use, industrial processes or agriculture that may be prohibitively expensive or even impossible to mitigate (sources). These need to be offset by gross negative emissions (sinks) that could come from natural (e.g., SCS) or engineered sinks (e.g., DACS). Net negative emissions occur when the gross negative emissions exceed the gross positive emissions, i.e. when the sinks exceed the sources. 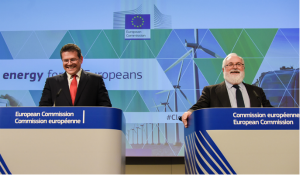 The most established way of governing in EU climate and energy policy is to first set specific headline targets (legally binding or only indicative) at the European Council level, followed by negotiations on legal acts regulating instruments and incentives. Any introduction of a new macro-policy strategy or a new object of EU climate governance is likely to follow that path. Under the current 80-95% by 2050 reduction target it is not imperative to discuss CDR politically since this ambition level can in principle be achieved through conventional mitigation measures alone. Only more ambitious targets, essential to achieve the Paris Agreement’s temperature goal of 1.5-2 °C, can ensure that CDR will enter the EU’s climate policy agenda. Global mitigation pathways consistent with 1.5-2 °C indicate that the EU would deliver cumulative CDR of at least 50 Gigatonnes CO2 by 2100, more than ten times the EU’s current annual emissions, but not more than 10% of the estimated global CDR volumes. A comprehensive CDR approach would embrace this challenge by openly acknowledging that the EU would have to reach reduction targets of far more than 100% in the second half of the century to help limit the global temperature increase to at least 2 °C, and that this is only possible with huge amounts of CDR. Taking a CDR requirement of at least 50 Gt until 2100 seriously, and given that most CDR techniques are still in their infancy, the EU would have to admit that it is highly uncertain if and how it could meet such a CDR target, including comparatively high costs and under-researched side effects of deploying different technologies. Furthermore, suddenly acknowledging the need for such high volumes of CDR means admitting (partial) policy failure, at least at the global level. 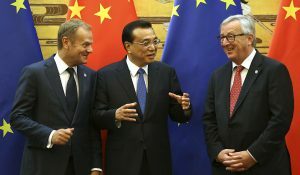 But if EU policymakers manage to avoid being blamed for such a failure, then the media and the broader public might ask why the EU itself should carry the burden of becoming a global frontrunner in CDR. If the EU is seen as a front runner in conventional mitigation, then it could be viewed that an aggressive CDR approach essentially consists in offsetting the emissions of laggards (e.g. the United States). It is also highly questionable that the EU would be able to integrate such an approach into its green growth storyline. How could the EU benefit economically from delivering 50 Gt or more of CDR? If the EU agreed to a reduction target of, say, 130% by 2100 compared to 1990, relative latecomers from Central and Eastern European (CEE) Member States will very likely continue to expect climate-progressive Member States in the North-Western part of the EU to lead the way – then into negative territory. This does not mean that CEE countries would oppose deploying CDR measures as such. Traditionally, they have highlighted the role of forests as carbon sinks. They could also be open to the introduction of BECCS via biomass co-firing. But it is unlikely that current CEE governments would see CDR as a possibility to strengthen their overall ambition levels. Instead, they might find CDR – or the promise thereof – attractive as a means to partly substitute conventional mitigation measures. Similar tensions should also be expected between different economic sectors, such as between electricity generation and transportation. Different from global scenarios, a limited CDR approach would not look at the whole century. Instead it would focus on the path towards net zero emissions. 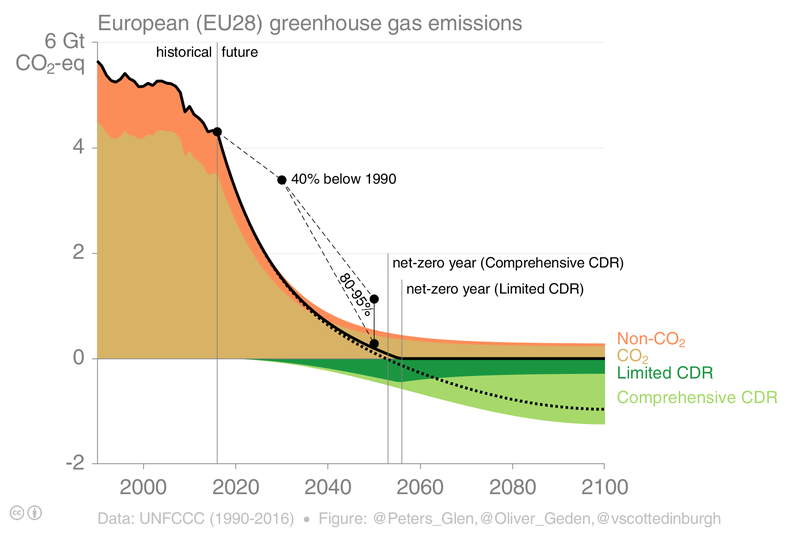 Putting the Paris Agreement’s Article 4 target of reaching and maintaining a balance between emissions and removals in the second half of the century center stage, the focus would not be on generating net negative emissions (i.e. emissions reductions above 100 %) but merely on offsetting residual emissions from industry, transport and agriculture until reaching net zero through comparatively limited amounts of CDR. Introducing CDR in the context of a net zero pathway would keep a visible primary focus on decarbonisation but acknowledge the need for a significant enhancement of removals. The volumes of CDR needed for such a limited approach would probably be less than half of what is necessary in the comprehensive approach, largely depending on the speed of conventional mitigation and the – probably highly contested – levels of residual emissions. Keeping the zero line as the conceptual reference point for the convergence of actors’ emissions reduction efforts, thereby avoiding huge mitigation disparities, would help to avoid CDR being framed as moral hazard. It would also allow for extended experimentation regarding technology development, regulation and public deliberation since there is much less need to come up with a silver bullet early on. Therefore, a limited CDR approach could help to integrate the concept of negative emissions into the EU’s climate policy paradigm. 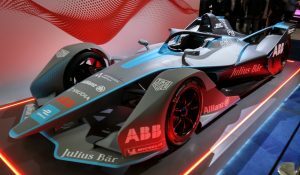 Even such an approach would still need considerable EU investment in research and development and at least some regulatory adjustments, first and foremost specific accounting rules for different CDR technologies. To address concerns that a deliberate policy to incentivise CDR might weaken conventional decarbonisation, the EU could split its net zero objective into sub-targets for reducing emissions and for enhancing sinks, e.g. with a 90-10 or 95-5% ratio that could be seen as a smooth extension of the EU’s current long-term target. Focusing on CDR in the context of net zero could facilitate public authorities (perhaps at city or regional levels) and companies re-setting their objectives to go beyond present claims of ‘100% renewables’ and aiming for full ‘climate neutrality’. Such initiatives would probably avoid potentially controversial and complex BECCS facilities, and more likely start with extending current emissions offsetting practices like afforestation and introducing other forms of small-scale terrestrial CDR which could potentially be regulated under the recently introduced EU regulation on land-use, land-use change and forestry (LULUCF), highlighting local ecological or agricultural co-benefits. While a comprehensive CDR approach gives a much clearer picture of the challenge ahead, it also presents a significant political challenge for EU policymakers – not only regarding the expected CDR volumes but also the technology portfolios, potential distributional conflicts and moral hazard concerns. 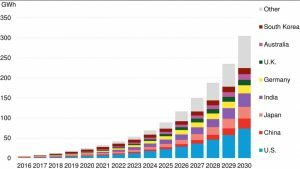 A limited CDR approach that only addresses the necessary steps to reach the (intermediate) target of net zero emissions is arguably more achievable. A pragmatic phase-in of CDR would not only help avoid suspicion (if not outright resistance) by environmental NGOs and the broader public but also catalyse country and sector specific considerations on which technologies are best to use in tackling residual emissions. Conceptually combining CDR with the logic of net zero emissions would introduce a sequential political strategy. A decarbonisation approach that intends to lead to a low level of residual emissions as soon as possible (to be tackled by a pragmatic phase-in of CDR) should be the priority of EU climate policy. Only in a subsequent step, would it make sense for the EU to scale-up the deployment of CDR technologies considerably. Aiming for a comprehensive CDR approach with net negative emissions (i.e., an EU emissions reduction target of more than 100%) could be an integral part of a global climate recovery strategy that helps to meet the desired temperature target of 1.5-2 °C. But to be successful, such a strategy needs to be based on a much enhanced level of regulatory and technical expertise and on a much higher level of trust that CDR can be a credible climate policy approach. Glen Peters is Research Director at the Center for International Climate Research, Oslo. Vivian Scott is Senior Researcher at the School of Geosciences at the University of Edinburgh. This analysis is based on a scientific journal article recently published in Climate Policy. Technically it might be useful to use limestone to first get concentrated CO2 (to store it or manufacture products with it) and then to dissolve the resultig CaO in water (e.g. ocean) so it can react again with CO2. One of the many technical solutions, but one which easily acceses concentrated CO2 for iuse or storage, and uses almost no cost or technology to recollect it since it happes as a chemical reaction in a huge body of water, as far as I can see. 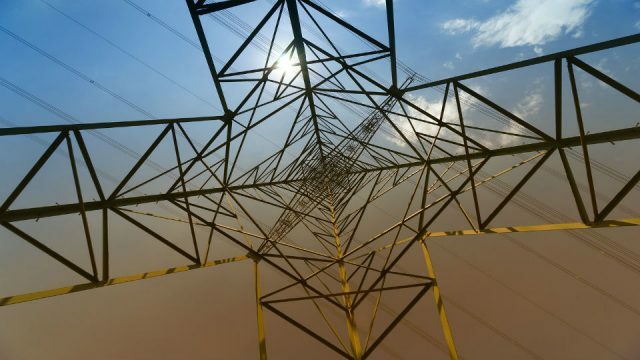 Energy can be taken from electricity once power supply is >100% renewable. But beside research I would not promise anything for the future unless it is done in practice, to avoid that others rely on this carbon capturing and stop moving forward. Financing will be a problem, or maybe not if surplus Renewable power is cheap enough sometimes. I guess the ovens to burn Limestone to CaO can be built rarther cheap, and so can be poerated just a limited time of the year.